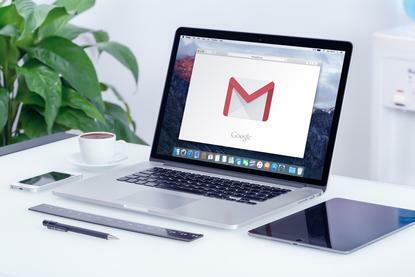 Callaghan Innovation opts to "go Google"
Callaghan Innovation has gone to market for a service partner to help the organisation replace Microsoft's productivity tools with Google's G Suite. "Our existing suite is a mix of Microsoft on premise and cloud solution," Callaghan said in a tender released yesterday. "The change of the suite will also require data migration and support to facilitate the business transition to a new technology and news ways of working." Callaghan specifies that among the services the business does not require is any revisiting of its decision to "go Google". As a result, the implementation partner will be required to support and guide the decommissioning of legacy systems no longer required. "Updating our productivity tools is a key part of our digital strategy," said Erica Lloyd, general manager of market, engagement and experience at Callaghan. "This aims to enable a truly digital way of working, empowering our people so they can add value faster to more businesses than ever." The new tools needed to be flexible, secure, and infrastructure-independent, she said. They also had to boost productivity and collaboration, and accelerate transformation of the way Callaghan works. The government's innovation agency includes around 500 people, including researchers, scientists and engineers to technologists, investment managers, innovation advisors. "Callaghan Innovation is focused on getting the best out of the productivity suite and ensuring its functions are easy and simple to use," the tender stated. "There is high importance around the collaboration experience, with real time document editing and sharing from one to one and one to many." Integration with new implementations of Microsoft NAV financials and CRM 365 is required, as is integration with Microsoft Office to allow users to work in Office and save to Drive as needed and use existing Microsoft Office documents. Callaghan signalled a focus on new tools in May, driven by a desire to eliminate information silos. "We've done a lot of work to get everything into a common IT stack," Callaghan Innovation CEO Victoria Crone told Reseller News. "The next round of investment is to future proof that stack. "We're looking for another step forward in terms of collaboration and productivity tools and we're also looking, with artificial intelligence and things like that coming through how can we make sure that platform gives us the benefits of that." Microsoft has been asked for comment.